Microgaming, Playtech deals put mobile bingo games back in the spotlight. 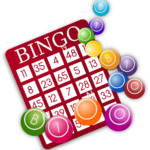 All of a sudden, desktop and mobile bingo software is making a big return to center stage in the iGaming industry. Having been an active participant in online gambling since the early 2000’s, I can honestly say it’s been a very long time since this niche market has gotten so much attention. I remember a time when bingo halls were the most populated entertainment venue in the UK, attracting more fans than sports arenas. In those days, the online bingo industry was all the rage. It was community based, the software was simple and incredibly fast—far superior to the heavy downloads and slow load times of online casino games. As time went on and technology advanced, internet casinos, poker rooms and sports betting exchanges far surpassed the entertainment value of online bingo. Aside from dedicated fans, everyone kind of forgot about it. Thanks to two of the world’s leading digital gambling software companies, Microgaming and Playtech, bingo is finally getting back in the spotlight. Both of these companies announced major contracts this week revolving around desktop and mobile bingo software. Microgaming is aligning with one of the UK’s largest betting firms, Betsson Group, to supply its existing HTML5 platform. Playtech is partnering with the retail and online vendor, Buzz Bingo, to deliver a unique, omni-channel experience. The Betsson-Microgaming contract, announced in a press release earlier this week, will see Microgaming implement its all-inclusive bingo and casino in bingo (CiB) platform on all of Betsson’s interactive websites; Betsafe.com, Betsson.com, and Nordicbet.com. The award-winning platform is renowned for giving players a full-throttle gaming experience. It includes the two most popular bingo variants, 75 Ball Bingo and 90 Ball Bingo, a few exclusively branded variants like Immortal Romance Bingo, plus access to over 450 casino side games, built directly into the platform. These new partners are taking a slightly different approach—one that Playtech already has vast experience with—to deliver an omni-channel gaming venue. Buzz Bingo will integrate a number of Playtech’s innovative CRM and IMS engagement systems, then merge them onto the developer’s exclusive Playtech Open Platform (POP). The idea is to first supply Playtech’s wide range of gaming options to online customers of Buzz Bingo. Once that phase is complete, they will begin integrating the IMS in retail shops, creating a universal, omni-channel bingo platform that coexists in the online and terrestrial space. Players will then be able to use the same registered account details, accessing the same games, both in retail shops and online. In a press release announcing the deal, Playtech COO Shimon Akad called this, “the most ambitious project our team has delivered to date.” Playtech won’t be working alone, though. They’re signing third-party vendors to provide additional gaming content in an effort to build one of the world’s largest platforms for mobile bingo games and casinos games; one large enough to compete with Microgaming.